Many of us has to deal with the nagging issue of stretch marks at some point of our life. One may develop stretch marks during pregnancy, weight changes, hormonal changes and even aging. 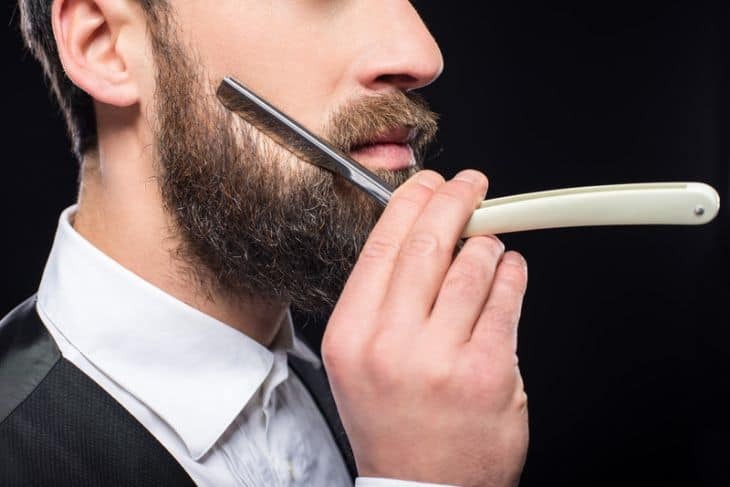 Though it can never be fully removed, you can reduce its appearance to a great extent. One of the best-selling skincare product that can improve the appearance of stretchmarks is Bio Oil. How to Use Bio Oil? Bio Oil is a specialist skincare oil that works to improve the appearance of both new and old scars. This award winning skincare product works to reduce the onset of stretch marks, improve the look of fine lines and wrinkles, helps the skin retain more moisture, and it also boasts some anti-aging benefits. Bio Oil contains super ingredient PurCellin Oil which helps the skin absorb vitamins and plant extracts in the oil easily. PurCellin also makes it light and non-greasy to apply on your body. Bio Oil is the world’s leading stretch mark product which has won numerous awards worldwide. 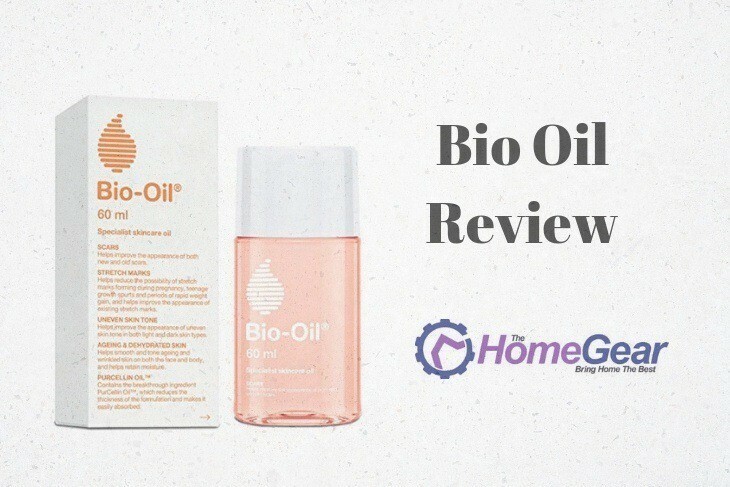 Read on to learn all about Bio Oil for stretch marks, its usage and expected results, so that you can decide if it is the right product for you to fight stretch marks and scars. Stretch marks are dark, raised, bands or lines that sit on certain parts of your body. Often, they can be dark red, brown, or even purple in colour. These marks will often occur in areas that are prone to weight fluctuations such as your belly, thighs, arms, back, breasts, and bum area. Some stretch marks can fade away naturally over time, others are a little more troublesome. Either way however, they are not innately dangerous. Stretch marks form when there is an increase in adrenal gland activity and hence, a heightened level of cortisone in your body. This causes your skin to stretch and in excess, it can cause your skin to lose elastic and tone. Pregnant women are often faced with stretch marks across their stomachs as the baby grows and stretches the skin on the belly. Teenagers that are growing and developing will notice stretch marks in areas where they notice a sudden growth spurt. Some stretch marks can form scars. When the skin is stretching, the body often cannot repair the collagen and elastin in time, hence a scar forms. Most will fade over time but they rarely go away completely. Some stretch mark scars may itch, and a topical corticosteroid cream can help with that. Laser therapy and microdermabrasion are other treatment options that some women choose to remedy the problem. These are however, rather expensive. Bio Oil is formulated to work on all skin types, even sensitive skin as it is certified hypoallergenic. Bio oil has won over 360 skincare awards worldwide and it has become synonymous with confident women who are waving goodbye to pesky stretch marks. Since its launch in 2002, it has become America’s number one selling multi user skincare oil. The question of it working depends on various factors including each individual’s diet, exercise routine, overall health history, and the quality and age of the scars themselves. Various clinical trials ​ have confirmed the effectiveness of Bio Oil in reducing the appearance of scars and stretch marks. So when it comes to finding a solution to your stretch marks, look no further than Bio Oil, one of the most tested and proven product in the market. Formulated with various natural ingredients that work together to help skin look softer and smoother, Bio oil remedies the onset of stretch marks and prevents scars from forming from the onset. Vitamin A catalyzes the formation of collagen and elastin. Vitamin E works to maintain healthy, glowing skin and aids in repairing the skin from sun damage and aging. PurCellin oil is a new technology that improves the skin’s texture. On top of these vitamins, this formula also contains a range of plant based natural oils. Calendula oil boasts regenerative properties and aids in inflammation reduction when it comes to sun damaged skin. Lavender oil acts as a tonic that calms and soothes irritated skin. Rosemary oil is a deep conditioner and has antiseptic properties to keep skin clean, refreshed, and invigorated. Lastly, Chamomile oil is an anti-inflammatory agent that works especially well with sensitive skin. For a complete list of all the ingredients used in Bio Oil, click here. Bio oil is most commonly used for reducing stretch marks by pregnant women. Bio Oil has been formulated to reduce their appearance though it can never really remove them. Bio Oil is also effective in lightening the scars on your body. Make sure to use Bio Oil only after the wound is healed properly. Uneven skin tone can result from excessive use of low quality skin products, sun damage and hormonal changes. Bio Oil can improve the skin tone appearance with regular use. It does not contain sunscreen so you can apply sunscreen once Bio Oil has been absorbed by the skin. Bio Oil contains useful essential oils that provides natural moisture to dehydrated skin to leave it supple and soft. So don’t worry about your skin going dry while using Bio Oil. Bio Oil can also be used for sunburn, chickenpox scars, Insect bit marks, burn marks, dry cuticles and C section scars. It’s recommended that you use the product daily for about 3 months to see noticeable results. Apply the oil in a circular motion twice a day and try to massage the oil into your skin until it is fully absorbed. For women who are pregnant, it is advised to start using the oil at the start of the second trimester. It should be applied to areas prone to develop stretch marks like abdomen, lower back, chest, hips and thighs. Always consult your doctor if you have any skin issues or known conditions before use. ​Upon opening the bottle itself, a warm smell of lavender fills the air. It’s subtle and not too over powering for those of you that don’t enjoy scented skincare products. The oil itself is very lightweight and has a non-greasy texture to it. 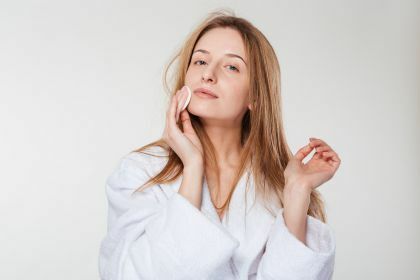 Upon massaging it into your skin however, it is easily absorbed and works like any other oil based product, leaving a greasy film that dissipates over time. Although it claims to work on old and new scars, Bio oil seems to be more effective at working to minimize the onset and appearance of new scars and marks. This oil promotes elastin production and so new scars will not be able to form as easily. It’s important to set realistic expectations with this product. So do not expect you can get rid of your older visible scars that easily with this. Bio Oil comes in a transparent bottle well packed in a white carton box which lists all the ingredients. The oil is pinkish orange in color and becomes transparent once out of the bottle. The bottle is well sealed and leak proof making it quite travel friendly. It won’t completely dissolve your stretch marks, but it will lighten them. For the low price, Bio oil seems to be worth a try. A little goes a long way with this oil. One drop is enough to work through your hands and cover your face. About two drops is enough to massage into your stomach and thighs. Many women swear by Bio oil during their pregnancies and maintain the fact that they did not get a single stretch mark once they started using this oil. It takes 30 days for the skin to renew itself, so it’s important to be patient with results. One concern in particular is for those who are interested in using the oil for acne scars on their face. This product is non-comedogenic, meaning, it will not cause acne and pimples to form. The oil is light and keeps skin hydrated. Bio Oil has many essential oils that can cause skin irritation or allergic reaction for those with sensitive skin. It also contains Retinyl palmitate which has possible side effects like itching, redness and burning sensation. BHT has been linked to the emergence of certain allergies and although it is being used in very low concentrations in this oil, it is something to be weary of. Always perform skin testing on small area of your body to check for allergies or skin irritation before using Bio Oil on face or target areas. Bio Oil has a lot of benefits and advantages as a stretch mark reducer and a few drawbacks as well as listed below. Stretch marks from pregnancy and weight loss/gain fluctuations seem to be more consistently targeted. Although stretch marks are not completely eradicated, they are very often lightened and become less apparent. Discoloration from scars is also reduced. It is important to note that results are seen only with continued use for at least 8 weeks on end. Do not expect immediate results with this oil. When it comes to acne scarring, a variety of factors have to be taken into account. What works for some acne scars, may not work for others. Discolouration is drastically reduced as are any variances in texture and tone. Some scars are completely dissolved whilst others may remain at a lighter, less temperamental stage. As Bio oil may be used for other scars too, not just stretch marks, the before and after images of people who have seen results from using Bio oil consistently on their injury related scars is also worthwhile. Uneven skin tone and redness goes down, yet the raised nature of the skin remains. Again, it’s important to note that Bio oil is a topical oil that does not completely remove scars and stretch marks. It works to alleviate the surface level imperfections. When it comes to finding a solution to remove stretch marks and scars, the fact is there is no perfect product that really works. Bio Oil is one among the best products you can get for lightening your stretch marks. Bio Oil for stretch marks is still one of the most sought after products even today. Bio Oil works best on new stretch marks, new acne scars and may prevent stretch marks during pregnancy but is not quite effective for your old well marked scars. So do not have high expectations as results can vary for different users.